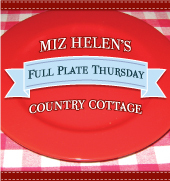 Welcome to Full Plate Thursday. We had such a fun day together last week. We had so much wonderful food and great fellowship, I just love it when all of you come to spend the day with me. This is how I filled my plate last week. I hope that all you ladies will take this special Red Plate home with you. Thanks for hosting! Everything looks delicious! Here's an easy Turkey Breast for the Crockpot that would be good for a holiday dinner with all the trimmings, or for an easy entree for guests...or for slicing to put on a salad, or even for making appetizers. I am back again. 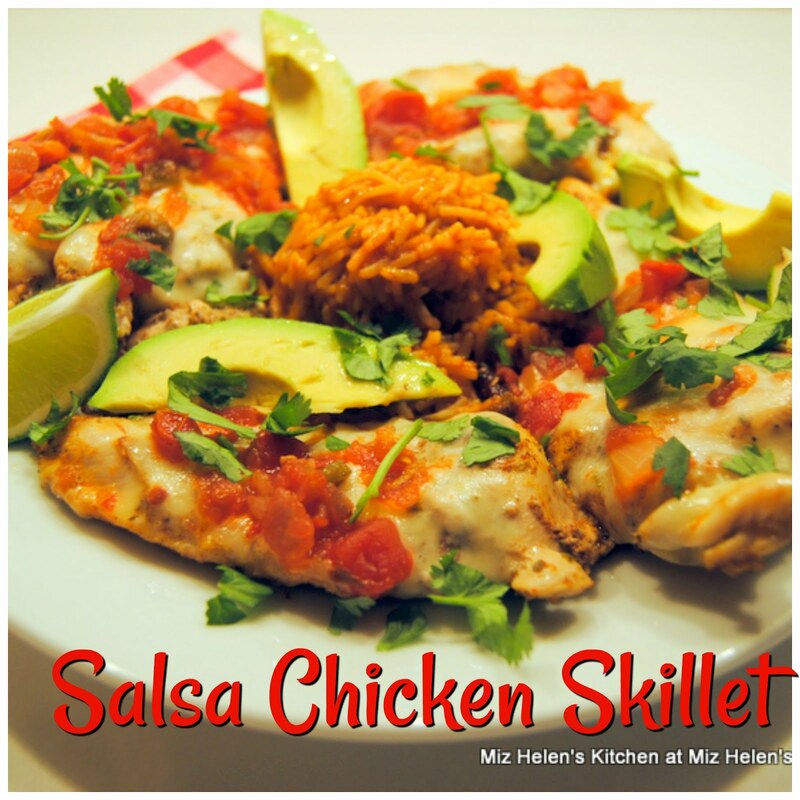 This week I linked up a recipe from my cooking blog. I didn't have much time last week to visit many blogs, but I am looking forward to it this week. Thanks for highlighting a full plate from last week's link up! I love seeing the recipes. 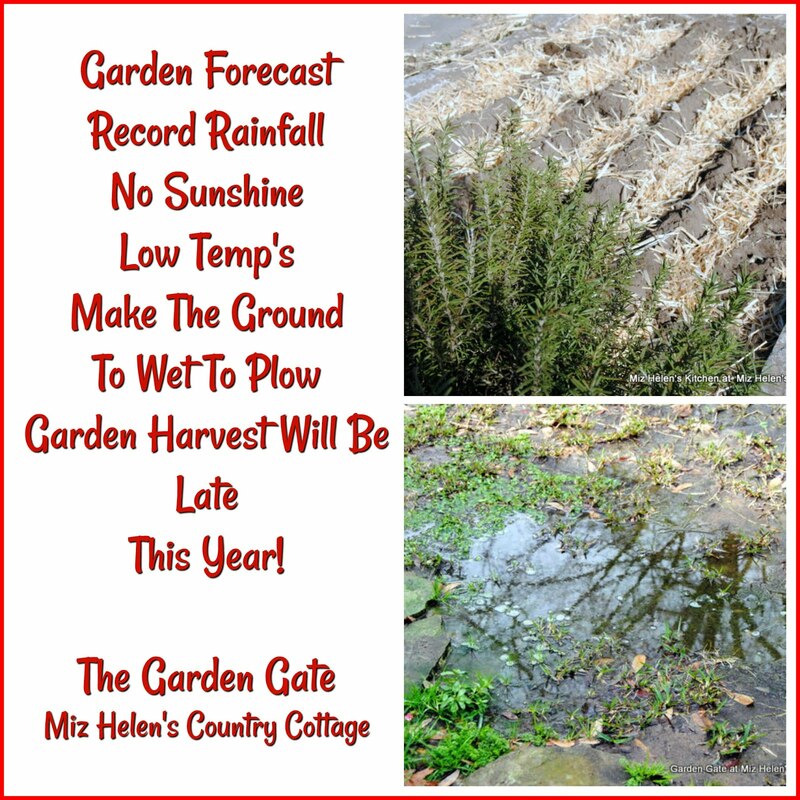 Miz Helen, thanks for the mention! I hope everyone enjoys that Banana Bread as much as my Honey does! Miz Helen, I am back to share a Sausage and Bean Stroup, made in the crockpot, for those busy days when you still need a good dinner. Thanks for hosting. Joining for the first time and I brought my Japanese Chicken Lemon Teriyaki! Have a great day! 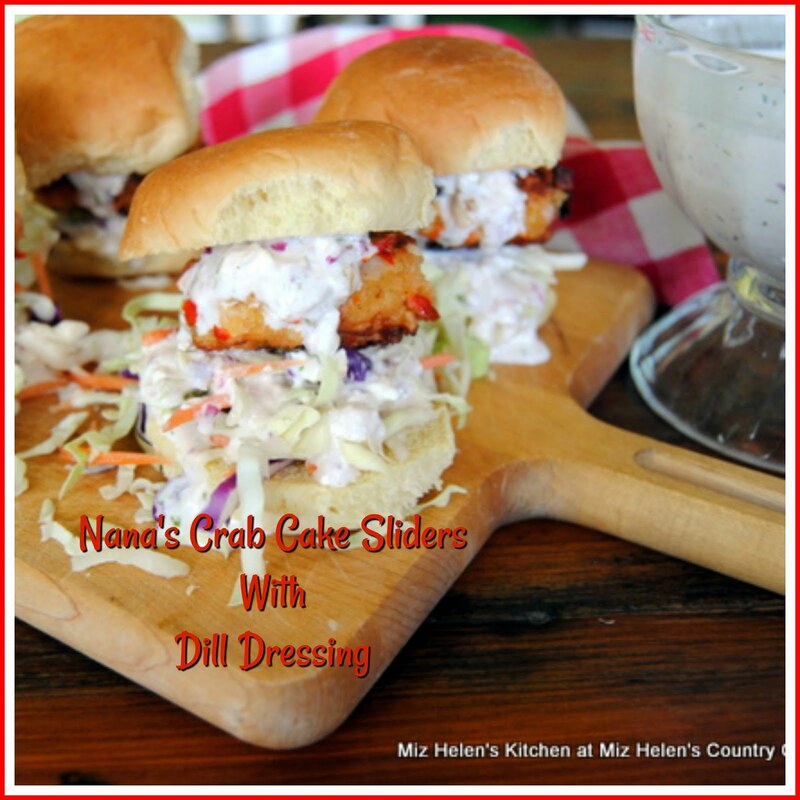 Miz Helen thanks for the mention...I hope my garlic bread/rolls is enjoyed by all...thanks for hosting and...I will definitely come back. So many wonderful dishes. Sharing recipes is a lot of fun! Thanks for hosting. 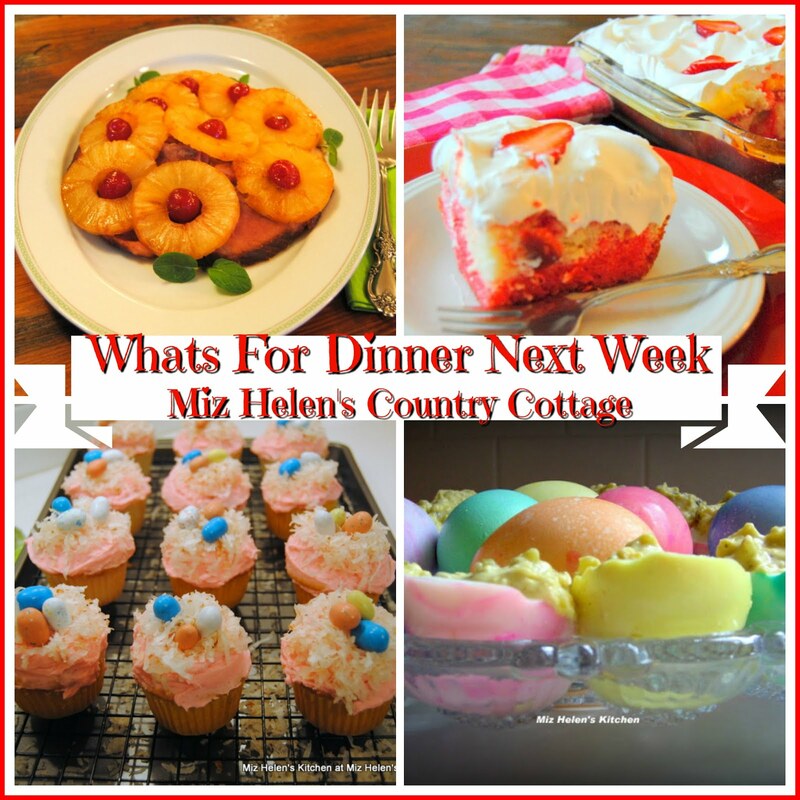 Thank you for mentioning my recipe Miz Helen! I look forward to gathering new dishes this week. I'm sharing a simple version of lasagna this week! Thanks for hosting. I have linked to the event! Hi Miz Helen! Thanks so much for adding my Eggs in Purgatory to your plate...that put a big smile on my face :) I brought my Lazy Girl's Cassoulet to the table this week! Thanks for hosting. Everything looks yummy! I brought Pesto Stomboli Bread. 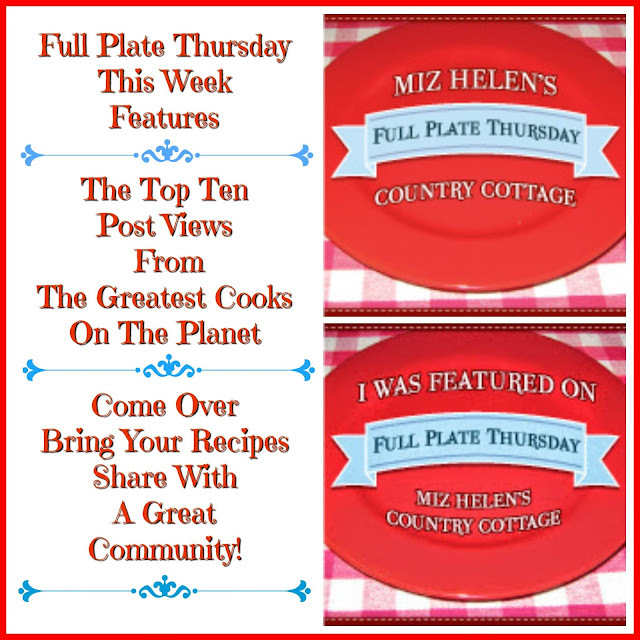 Thank you for inviting me to Full Plate Thursday. It looks like fun! LOVE being invited to a party--thanks! Especially where food is involved...my kind of fellowship! I brought the Sour Cream Lemon Pie. I look forward to reading some delicious recipes. Have a great day. 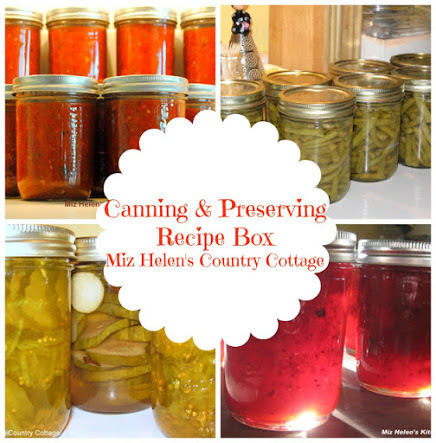 Thanks for the shout-out Miz Helen. Looking forward to checking out all the yummy recipes. Thanks for hosting! Thanks for the feature! i just added the button to my blog! I appreciate it! Hello Miz Helen! Thank you so much for hosting Full Plate Thursday. I've linked up a really easy dessert with seasonal blood oranges (you can use ordinary oranges when they are not in season). I have recently started co-hosting a foodie blog hop called Feed Me Tweet Me Follow Me Home on Fridays, and I wonder if you might like to join us tomorrow? You are very welcome if you would! Thanks for hosting! I hope you are having a wonderful week and eating lotsof yummy things! Thank you so much for featuring me last week and for being such a kind linky hostess. All of your recipes are my kinda recipes. I can't find the code for your featured button. Could you please point me in the right direction? Thanks! Howdy Miz Helen. You sure do have a bunch of culinary talents that link up every week. I am itching to try that Blackberry Wine cake from last week especially....mmmmmmm..... Thanks for hosting! Hi Miz Helen! Thank you for featuring my Green Bean Salad from last week! This week I am sharing my recipe for Meyer Lemon Cookies. The recipe is gluten free, but it can be made with "regular" flour if you don't have an issue with gluten. If anyone is interested, I am having a giveaway for a 7 pound box of Organic Meyer Lemons grown in California! This looks like a fun party! I can't wait to check out all the good food. I brought the Banana Apple Cupcake Muffins today. Thanks for hosting! Hi, Miz Helen! I can't wait to try out all of the good food everyone brought! Thanks for hosting. I am new to Full Plate Thursday. Thanks for the invite, may you have a blessed week! I hate that I missed last week but I'm glad to be back! Thanks for hosting us today! I am new to this Blog world and started my very own blog recently ' Sunshine and Smile ' :) Enjoyed reading your blog and posts. I have addes a very simple Indian starter dish in your link . Hoping to learn more from here. Hi, Miz Helen! 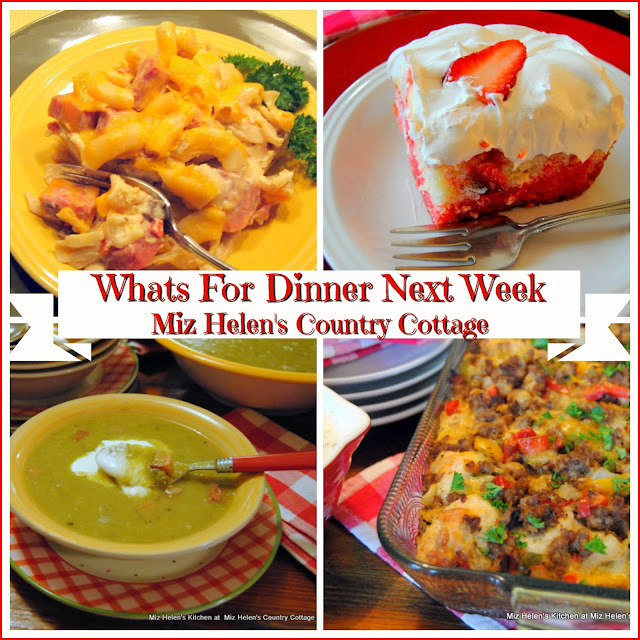 So many great dishes this week! I can't wait to try them all! I brought two recipes to the party this week! Chipotle Turkey Chili and Chicken a la King! Thanks so much for hosting! Love having access to so many tasty recipes each week! 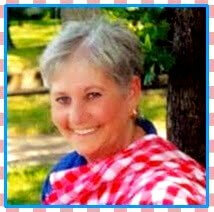 Miz Helen, I am so honored that you filled your plate with my Blackberry Wine Cake last week! Thank you so much for hosting this fun event every week. I am really loving all the new recipes I'm finding each Thursday. Hi Miz Helen, I thought I would join the fun. Great ideas with lots of yummy recipes! Thanks for hosting. What a delicious spread we all had last week. I've submitted a simple dish to be shared this week, and I'm getting hungry just looking at all the delicious food shared by our friends! 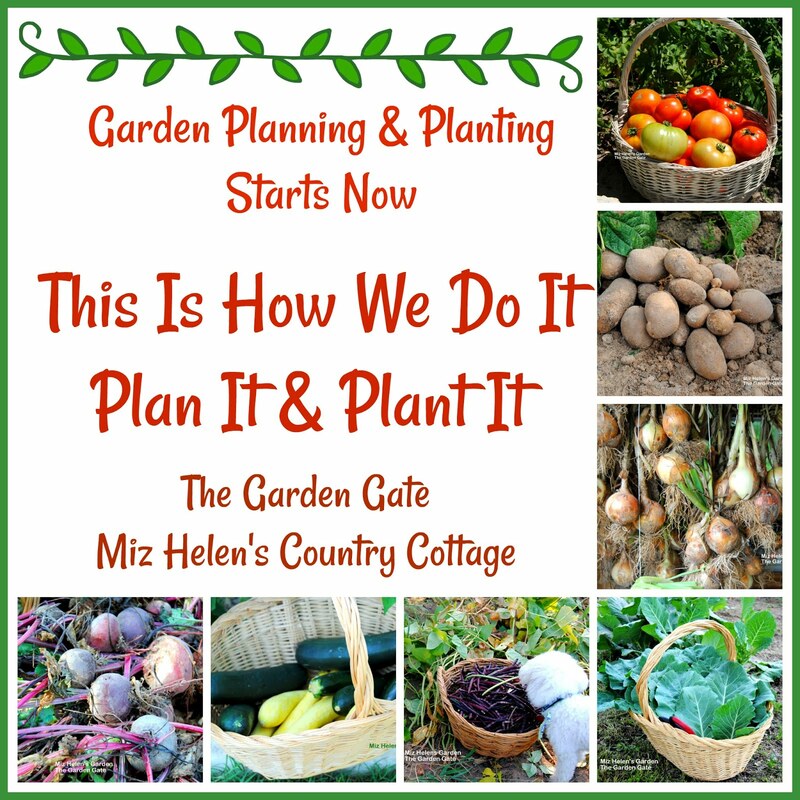 Good morning Mizz Helen, thanks for hosting again this week. Enjoy your weekend. Thanks for the invite snd thanks for hosting! Everything looks so delicious.... I don't know what to try first! Thanks for the invite, have linked up my favorite cookies this week. Thanks for your sweet comment on my site and have a great weekend! I love your blog. Have a great weekend! Hi Miz Helen, I've submitted a dessert recipe. Thank you for hosting! Good Morning! I brought Spaghetti Sauce with Turkey Meatballs to the party. 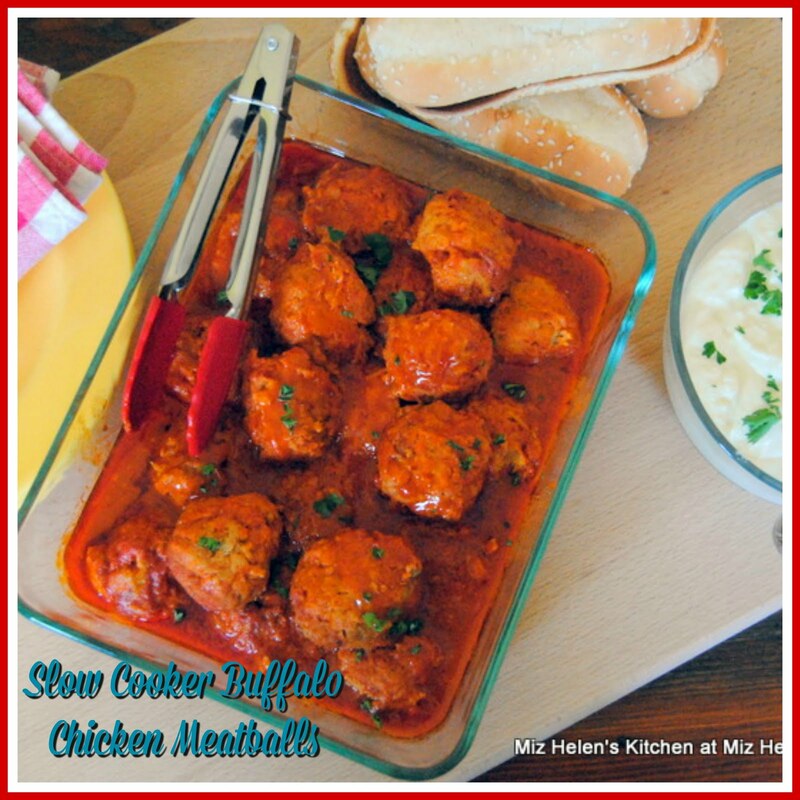 The sauce is wonderful, but the meatballs are the real show stopper. I often tripple the batch and freeze them for later. They make great after school snacks for the kids. Thanks for the invitation, and thanks for hosting the party. I brought my Pink Sno Ball cake today. :) Can't wait to look at what others have added! 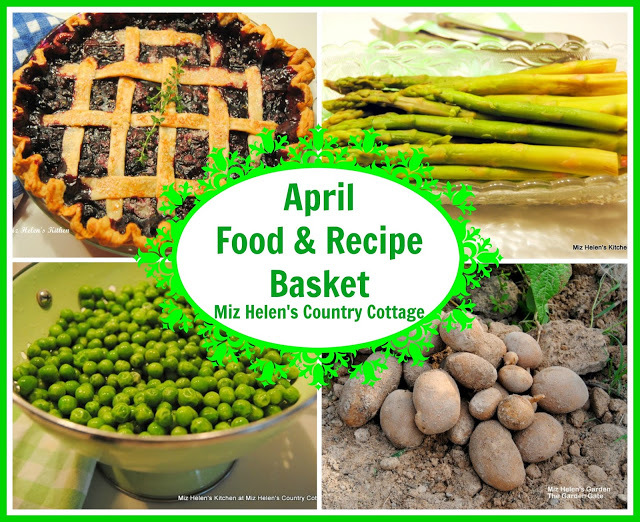 Hi Miz Helen, There are some great recipes here! I wasn't aware of your blog party but now that I am, I'll make plans to participate as often as I can. Thanks for hosting; the memes are so much fun! Hi Miz Helen, I've linked a lovely bread to your fullplate party. But I've entered twice by mistake, can you please delete the earlier one (that was my draft preview, mistakenly linked to FPT!) Sorry about that!